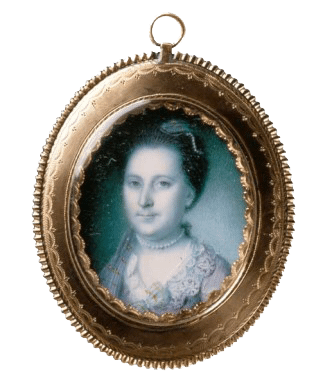 From mother to First Lady, Martha Washington had many important roles throughout her life. Martha Dandridge was born on June 2, 1731, at Chestnut Grove plantation in New Kent County, Virginia, which is roughly 35 miles from the colonial capital of Williamsburg. Martha was the first of eight children born to John Dandridge and Frances Jones. Unlike the majority of women in Virginia at this time who were not literate, Martha learned both to read and write at an early age. Throughout her entire life, Martha found pleasure and solace in reading. She read the Bible and other devotional literature for religious edification and novels and magazines for entertainment and instruction. Martha was also known as a regular and active letter writer, and a collection of her surviving letters are housed in the collections of the Mount Vernon library. The average height for European women in early Colonial America was around 5’2”. Martha was described as a lovely and attractive woman with a lively personality. She was generally strong-willed, though also charming, sincere, warm, and socially adept. These characteristics allowed her to overcome obstacles and forge her own path in the world. In colonial Virginia, most women of Martha’s social class met their potential mates through friends and family, or at church, court day, or a ball held at a neighbor’s house. Tradition holds that Martha met her first husband, Daniel Parke Custis, at their local Anglican church. Daniel Parke Custis began courting Martha Dandridge when he was in his late thirties. He lived on his own plantation, White House, situated four miles downstream from the Dandridge home on the Pamunkey River. Custis’s imperious father had quashed a number of Daniel’s previous efforts to wed. When word of his son’s interest in Martha surfaced, John Custis IV initially opposed the match. He insisted that the Dandridges lacked sufficient wealth and status to marry into his family and threatened to disinherit his son. At 38, Daniel Parke Custis was nearly twenty years older than his new wife, who was 18. He was also significantly older than the average Virginia man who married for the first time at age 27. Yet by waiting until he found a woman of whom his father approved, Custis guaranteed his own financial future as well as that of his future heirs--and of Martha herself. Martha’s marriage to Daniel Parke Custis, who died on July 8, 1757, lasted just over seven years. Martha’s first child was a son, named Daniel Parke Custis, born on November 19, 1751, followed in April 1753 by a daughter, Frances Parke Custis. Although the first names were traditional family names, the children’s great-grandfather had imposed a strict condition on inheritance: only children bearing the name “Parke” as part of their given name would receive a portion of the family estate. Despite their socially and economically privileged lives, neither Daniel nor Frances would reach the age of five. In the colonial era, childhood was the period of greatest vulnerability to death and disease. Only about 60% of children born at this time lived to the age of 20. In 1754 Daniel died, probably of malaria; Frances died in 1757. Martha had two other children with Daniel Parke Custis, who would become the center of her own life: John Parke Custis (“Jacky”), who was born in 1754, and Martha Parke Custis (“Patsy”), born in 1756. Patsy suffered from repeated seizures, which grew worse over time. After a particularly violent episode on June 19, 1773, Patsy died at age seventeen. On November 5, 1781, just weeks before he turned twenty-seven, John Parke Custis, Martha’s sole remaining child, contracted a virulent illness and died. As a young, attractive, wealthy widow, Martha Dandridge Custis probably enjoyed more freedom to choose her own destiny than at any other point in her life. At the time they were married, she was only twenty-seven years old, owned nearly 300 enslaved people and had more than 17,500 acres of land— worth more than £40,000. The attraction between George and Martha was mutual, powerful, and immediate. Martha was charming, attractive, and wealthy. George had his own appeal, standing over six feet two inches tall, he was an imposing figure with a formidable reputation as a military leader. At the end of 1758, Washington resigned his military commission. 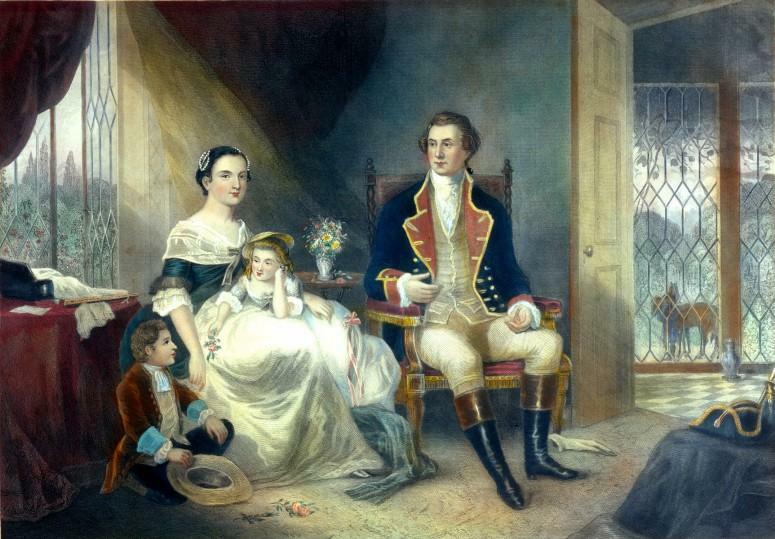 On January 6, 1759, Martha Dandridge Custis married George Washington at her home, White House, in New Kent County. After Washington left Mount Vernon in 1775, he would not return again for over six years. Every year, during the long winter months when the fighting was at a standstill, the General asked Martha to join him at his winter encampment. Every year she made the arduous journey to his camp, whether it was at Cambridge, Valley Forge, Philadelphia, Morristown, Newburgh, or elsewhere. She stayed with him for months at a time. In fact, during the period from April 1775 until December 1783 Martha was able to be with her husband for almost half the time he was away. The General regarded his wife’s presence as so essential to the cause that he sought reimbursement from Congress for her traveling expenses. Before she could make the first trip, however, Martha had to undergo her own ordeal. She had to be inoculated for smallpox, one of the most deadly enemies soldiers faced during wartime. After successfully weathering the inoculation, Martha could then travel to the soldiers’ camp without fear of contracting the disease or transmitting it to others. Just as her husband realized that his actions would set a precedent for future presidents, so Martha, too, was aware that her behavior as first lady would become the template for the wives of future chief executives. One of her most important steps was to initiate a weekly reception, held on Friday evenings, for anyone who would like to attend. Under the provisions of his will, George Washington declared that the 123 slaves that he owned outright (separate from the dower slaves that would be distributed among the Custis heirs) were to gain their freedom after his wife’s death. There was a fear that these slaves could revolt and kill Martha in order to gain their freedom. Rumors circulated about a suspicious fire at Mount Vernon that may have been set by slaves. Fearing for her life, Martha, at the urging of relatives, decided to free her deceased husband’s slaves early. On January 1, 1801, a bit more than a year after George’s death, Washington’s slaves gained their liberty. Martha’s health, always somewhat precarious, declined precipitously after the passing of George Washington. Just two and a half years after her husband and to the dismay of her extended family, Martha Washington died on May 22, 1802. 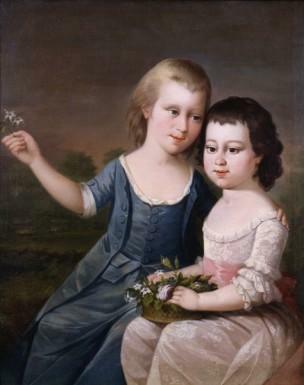 Martha’s death brought the Custis heirs even greater riches. Each of Martha’s four grandchildren received substantial amounts of land and money that been held in trust for them for years. 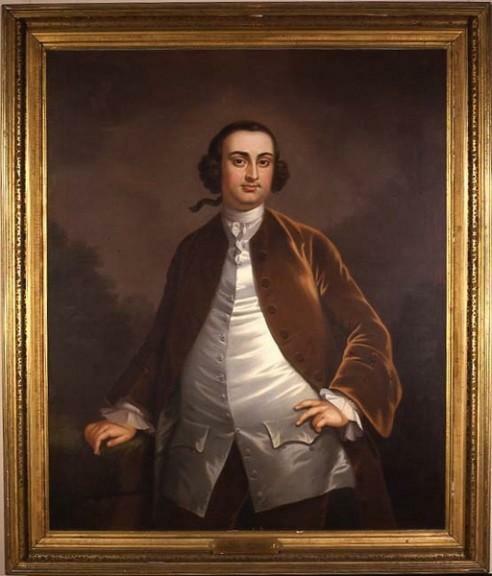 Moreover, each received a share of the so-called “dower slaves,” the descendants of the enslaved people once owned by Martha’s first husband, Daniel Parke Custis. In 1831, after being moved from Mount Vernon’s old tomb to the new tomb, Martha’s remains were placed into a marble sarcophagus that stands near her husband’s at Mount Vernon to this day. Did you know that Martha Washington is the first and only real woman to grace the primary portrait of U.S. paper currency? Learn even more about the remarkable life of Martha Washington. From her life at Mount Vernon to her Revolutionary War and Presidential roles.